At the end of September we'll be running the third Deadman Mode Invitational and will be launching the next season of the game mode. We're making some major changes with the aim of making Deadman a more high-octance, intense experience for a shorter period of time. Stats transferring from the season to tournament will no longer be introduced. This change comes following mixed feedback from the community. With the third Deadman Invitational taking place at the end of September, the current Deadman season will be coming to a close within the next few weeks. Once again, the top players will be taken from the season hiscores and chosen to participate in the Deadman Invitational for a chance to take home $10,000! 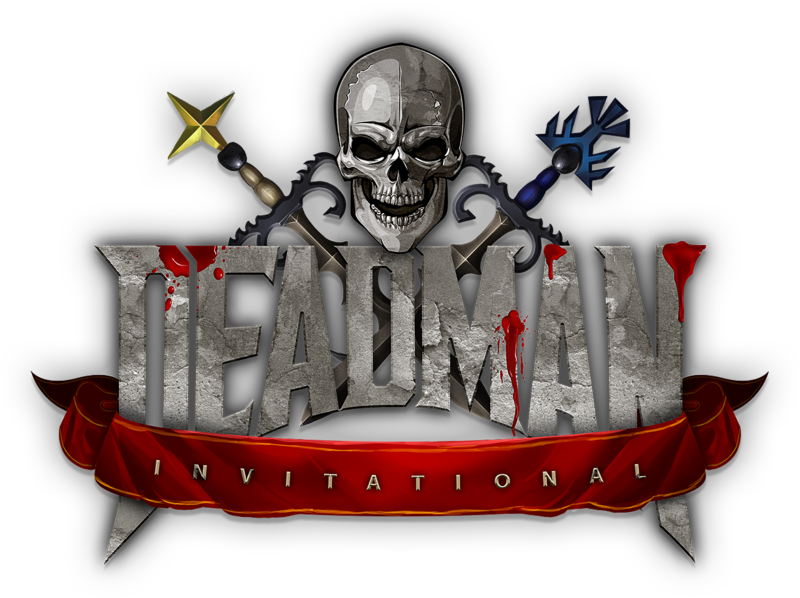 Deadman Invitational 3 will be taking place at the end of September. While we'd like to get more specific, there are still a few bits for us to get in place before we can share the details. We're working on making this Deadman Invitational the biggest and best yet, with a few big surprises in store. As soon as we can, we'll be sharing the details with the community. We've got some small improvements to how the Deadman Invitational will run this time around, with some more substantial changes being put in place next season. The key changes we'll be making to the upcoming Deadman Invitational 3 will be the addition of a player count and a broadcast letting participants know where the final area will be. These small but vital additions will help the participating players focus on killing people, rather than positioning and wondering if they're the last person alive. The next Deadman Mode season is going to include some big changes for the game mode which will make the time you spend in the game mode more action packed. In the next season of Deadman Mode, directly trading another player will not be possible. Instead, all transactions must go through the Grand Exchange. This change has two major benefits: making swapping harder and making teaming harder. With all trades happening through the Grand Exchange, it will be much harder to transfer wealth between two specific accounts. This makes swapping wealth between Old School and Deadman Mode more difficult. With these additional restrictions in place, we will now be considering swapping gold on Deadman Mode to be against the rules. If you are found to be swapping gold between game modes, action will be taken. It will also make it more challenging for teams to constantly trade supplies to each other, giving a bit more life to solo play. Casual players will, of course, still be able to get their hands on the items they need via the Grand Exchange. All eight Grand Exchange slots will be available, and only the standard limits for trading via the G.E. will be in place. To further the above restriction, we'll also be making some tweaks to other pieces of content to make sure items aren't being directly transferred anywhere else in Deadman Mode. We'll be making sure that there aren't any ways to sneak items to another player through minigames. Also, items a player chooses to drop will no longer appear for other players. After one minute, the items will disappear from the game. From the next season of Deadman Mode, the length of a season will be 1 month. In previous seasons we have seen that a majority of the action takes place in the first month. By shortening the seasons, Deadman players will be encouraged to give it their all and participate for the full duration! Seasons will still take place once every three months, with a 6 week gap between the end of a season and the start of a tournament for that season. This gives people a chance to take a step back from grinding Deadman Mode, get prepared for the start of the tournament and for the following season. Following community feedback, Zulrah will be disabled in the next season of Deadman Mode. With the immense strength of venom, and the lack of supplies available to most players in Deadman Mode, the top tier gear dropped by the boss creates a big gap between those players who have the gear and everyone else. Preventing players from accessing the boss is an experimental change which will hopefully lessen the gap between the majority of players and those with the best gear, creating a more even playing field overall and more reason to risk everything for a kill! Earlier this season we made some quality of life improvements to seasonal Deadman Mode. We'd like to add a couple of these to the permanent Deadman Mode worlds, too. One of the most common requests we've seen is for the Grand Exchange to be added to permanent Deadman Mode. Unfortunately, this is not possible due to the large development cost. However, the PJ timer and the limit on unnoting items are features we'd like to offer. We hope that these additions will make PKing in the permanent worlds a smoother, more enjoyable experience. Interesting changes , the measures against swapping seem fair, but how would we report any suspect of rule-breaking? Would the Support Team know what to look for if someone abuse reported it? Account Sharing has also been a big issue in the past, and while that's mostly taken care of at the invitational level, is there anyway to prevent/discourage this at the entry level so that Account Sharers don't accrue benefits against the spirit of the game? Jagex systems used to be much stricter against Account Sharing, perhaps applying some of the back-end resources could help curb the problem at the immediate level? I'm also perceiving a possibility of players killing their own Mules to transfer resources and weapons. So please consider this as something to check when vetting Deadman Accounts for honest and fair play. Stats being transferred over to the invitational should be very interesting. This is going to revamp Dead man mode big time. I plan on giving DMM another chance now that Zulrah is disabled. very grateful for disabled trading Achieved 2277 total on August 5th 2014. I like all the changes, will probably give DMM another go next season. But you're a Proud member of Uprising PvM!